What's the deal with Jerry Seinfeld coming to Philly? Feb 24, 2017; Hollywood, FL, USA; Television personality and comedian Jerry Seinfeld performs at the Hard Rock Live. The master of observational comedy is coming to Philly. 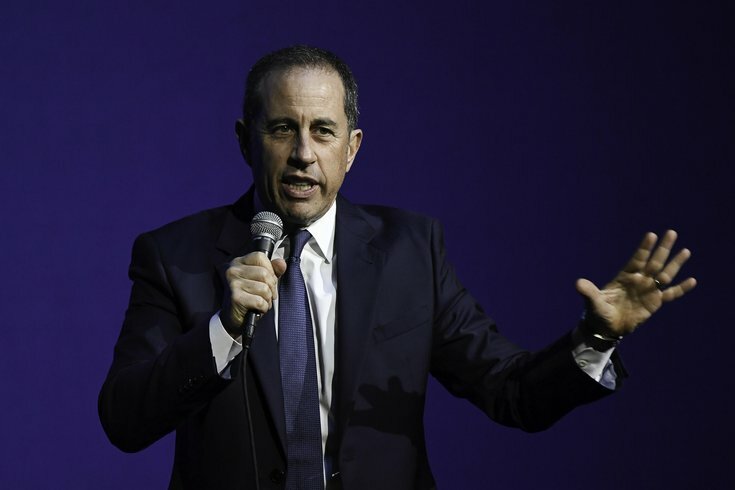 Jerry Seinfeld will perform his signature stand-up at the Academy of Music in April. On Saturday, April 7, he will do shows at 7 and 9:30 p.m. Tickets are limited but still available for both shows. They start at $70. Seinfeld's comedic career took off after his first appearance on "The Tonight Show" with Johnny Carson in 1981. Eight years later, he teamed up with fellow comedian Larry David to create the wildly successful TV series "Seinfeld." The comedian's latest project is "Comedians in Cars Getting Coffee," which started as a web series and is currently on Netflix.